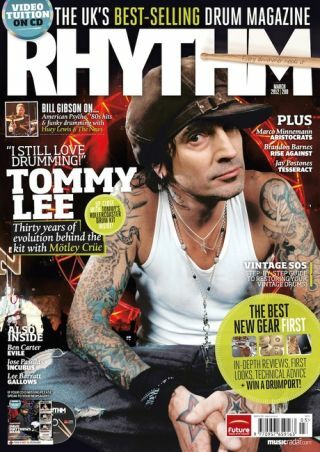 This month's Rhythm features a huge Tommy Lee cover feature in which the Mötley Crüe man tells us all about his evolving drum sound, his need to be 'hands on' with the music and how he's driven the Sunset Strip stalwarts for 30 years. 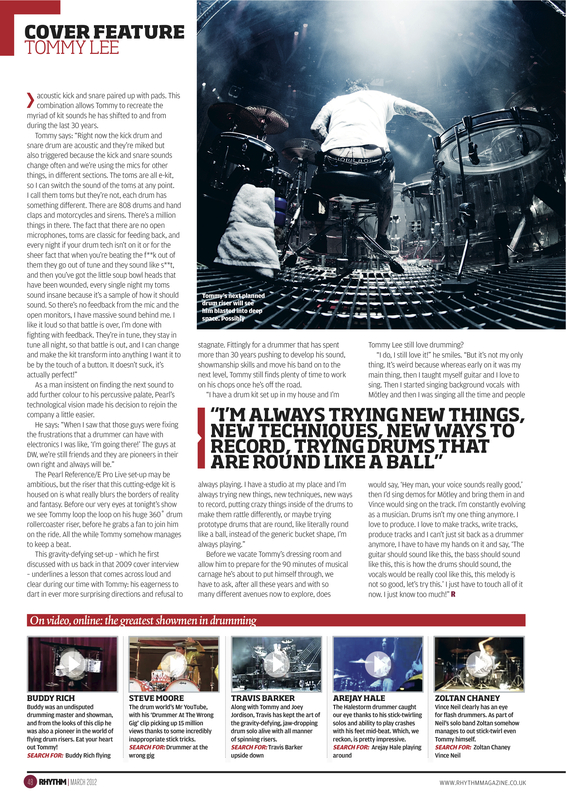 The more eagle-eyed amongst you may have noticed that the final page of this feature is missing from the issue. This is due to an unforseen printing error. Apologies to all of our readers for this issue, but worry not, as you can download the missing page right here. For the rest of the Tommy feature, plus interviews with Ben Carter (Evile), Bill Gibson (Huey Lewis and the News), Brandon Barnes (Rise Against) and much more, pick up the latest issue of Rhythm in all good newsagents, online or through Apple Newsstand.